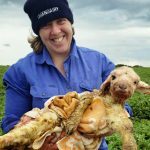 South Australian farmer Leith Tilley and Victorian research scientist Stephanie Muir are the winners of the 2019 Sheep Industry Ambassador Award. They will travel to New Zealand in March to attend the New Zealand Sheep Industry Ambassador Program. The program will foster and grow the up and coming leaders in the sheep industry. This program will create a forum of young producers and industry leaders from the United States, Australia and New Zealand to share ideas, network and to broaden the understanding of sheep farming practices and importance of trade in agriculture in all three countries. 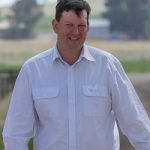 Leith Tilley is responsible for the livestock side of his family’s 3000-hectare mixed farming business. The Tilley family run 3000 merino ewes mated to Merino and White Suffolk sires with a strong focus on developing a flock that is plain bodied, fast growing and highly fertile. Prior to returning to the family farm, Leith built an extensive background in all areas of the supply chain including leading the MLA team based in China, as well as Sales and Marketing roles with Thomas Foods International, Australia’s largest family owned sheepmeat company, and Ranges Valley. Leith has a strong vision for the future of the Australian sheepmeat industry, with rapidly developing technology allowing farmers to unlock the individual performance of ewes to make greater genetic gains. Additionally, the importance of farmers and product integrity programs continue to form the base for which processors can build strong supply chain-focused brands to promote and grow sustained demand for products. Agriculture Victoria Research – Department of Jobs, Precincts and Regions. Stephanie is from Hawkesdale in south-west Victoria and is a Research Scientist with Agriculture Victoria based at Hamilton. As a Lamb Production Scientist, Stephanie is involved with programs measuring the feed efficiency phenotype of sheep as well the effects of different forage types on sheep methane emissions. Stephanie has a strong interest in technologies which can be used both on-farm and for research purposes to enable improvements in production efficiency and animal welfare. Through involvement with the SPA Sheep Industry Ambassador program Stephanie hopes to develop connections with producers, industry bodies and government, both nationally and internationally which will enable the delivery of quality research outcomes to benefit sheep producers and the sheep industry. Jamie works with his parents on their 880-hectare sheep farm Ella Matta on Kangaroo Island in South Australia, which comprises a White Suffolk, Poll Merino and Maternal Composite seedstock operation. The main focus of the seedstock operation is increasing genetic gain through the use of LAMBPLAN and MERINOSELECT. The other part of the business is a commercial self-replacing 18.5-micron ewe flock. He completed a Bachelor of Business (International Business) with a sub-major in Marketing at the University of South Australia. Following this he worked for three years at Thomas Foods International in its meat export and livestock departments. In 2014 Jamie was selected as the Sheepmeat Council of Australia Youth Ambassador, and has since worked with SPA to forge relationships in international markets and to build leadership capability in the sheep industry. Jamie has just completed a Nuffield Scholarship on Key factors needed to attract and retain young people in the sheep industry. Melissa is an agribusiness and community development professional, with a strong interest in training and development. 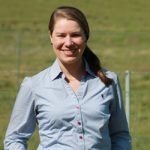 As the Industry Leadership Manager at Sheep Producers Australia, she is creating the SPA Leadersheep Network and developing leadership programs for the sheep industry. SPA is focused on the development of strategic thinking, industry advocacy, policy development, governance and leadership skills. The SPA Leadersheep Network invests in developing future leaders, ensuring strong leadership for the sheep industry. The national network connects sheep producers and people working in the industry to provide opportunities to connect to develop capability, exchange ideas and contribute to the development of industry initiatives. Melissa spent 13 years with the Victorian Department of Primary Industries in sheep and beef extension and development, delivering educational activities to producers and supply chains to improve productivity, profitability and quality for the red meat industry and consumers. SPA Industry Leadership Manager Melissa Neal explains the selection process of the 2019 Sheep Industry Ambassador Award in the video below. Sheep Producers Australia announced Lexi Cesnik and Sophie Curtis as the winners of the Sheep Industry Ambassadors Award in 2018 from a list of high-quality videos and applications. Sheep Producers Australia selected James Corcoran and Ben Munzberg as the winners of the Sheep Industry Ambassadors Award in 2016. Watch their entry videos below. The inaugural Sheep Producers Australia Sheep Industry Ambassador Award was presented to Jamie Heinrich in 2014. 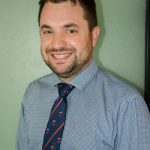 Jamie has since increased his involvement in the sheep industry, becoming a Board Director of SPA and chairing the SPA Industry Leadership and Community Engagement Committee.